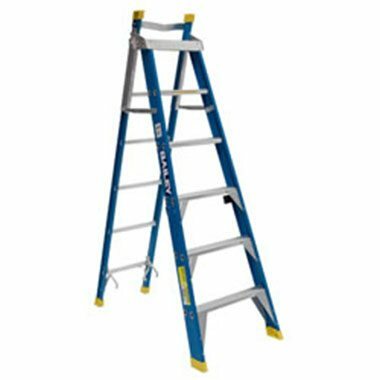 They are more versatile than a Dual Purpose Ladder which can be “Flipped” open into a Straight Ladder as the Step Extensions rear section can slide up one rung at a time for a varied length which can be critical if being used in a confined area such as accessing a man hole through a ceiling. 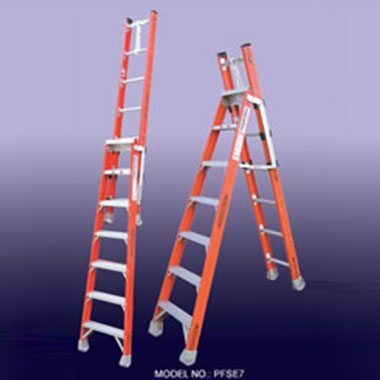 Step Extensions do the job of two Ladders, from a standard Step Ladder to an Extension Ladder. Some Models also allow the rear section to be adjusted when in the Step Ladder position which makes them more flexible and useful on stairs or garden beds. 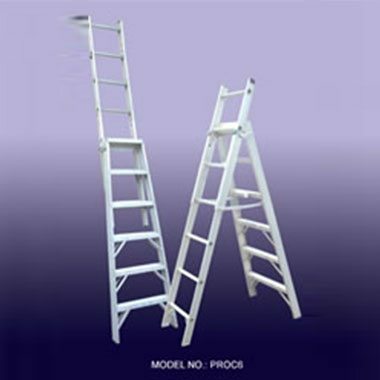 Step Extension Ladders are manufactured in both Aluminium and Non-Conductive Fibreglass. Please select the Material, Load Rating, Brand and Model from the Navigation Bar on the left for more details. check out the range of WAKÜ Telescopic Ladder.